Can you believe it is the start of another year? I swear 2017 just flew by. However, 2018 is going to be amazing. I mean, who doesn't love FREE? I found years ago, if I don't have some way to plan and track what I'm doing on the blog and for my pattern shop, I am not productive. One year I purchased a planner from the dollar store and that worked out nicely. But I really wanted to keep track of some of my goals for the year and a place to keep track of thoughts and ideas. These printables include a yearly calendar and 2 monthly calendar options. The months can be filled in with dates and projects. There are 2 goal pages: Yearly Goals and Monthly Goals. I've already filled out my January goals and look forward to keeping track. My favorite page is the Brain Dump. This is a great page to keep a running project list or "dump" ideas you have for upcoming projects. You could have one page or a page for each month. Totally up to you. Lastly, we have the Weekly Planner and the Shopping List. Just print out the pages you want or need. You can put them in a binder or folder or even take them to your local print shop and have them print and bind them for you for the entire year. To download your copy of the 2018 Blog Planner, click the download link below. 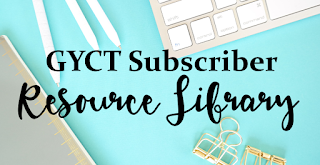 Download the printables from our Free Resource Library. Like this post? Make sure you tune in the entire month. I'll be sharing tons of blog, crafting, sewing and home organizing tips, tricks, tutorials and FREE stuff. 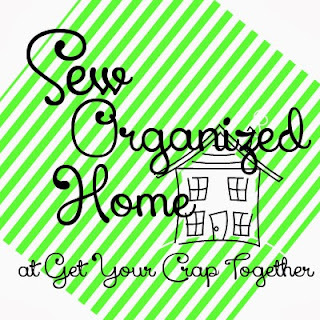 It's the return of our Sew Organized Home Series.